I’m Alo Loco from Italy. 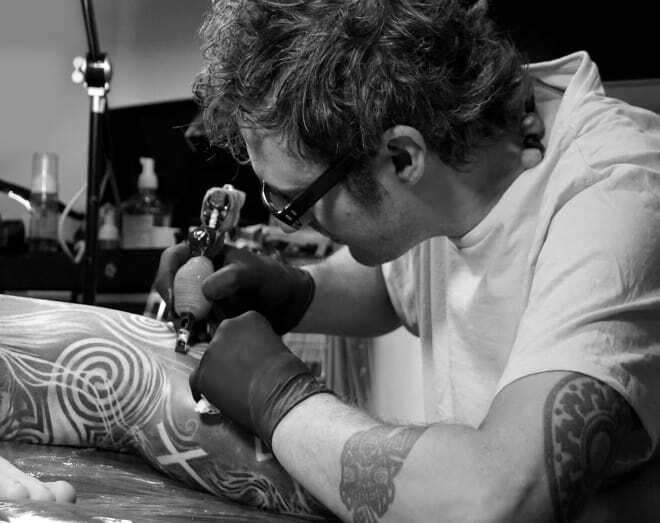 Tattoo is something that I have always been passionate about for as long as I can remember. The more I traveled the more I liked all the culture around it, different techniques used, symbols, stories, and traditions behind it. Over time, I tended to work more and more in black and grey realistic and surrealistic pieces, turning out to be the style that represents and fascinates me the most. Nowadays, I keep working on getting better at photo realism and surrealism and discovering new techniques devoting special attention to details, texture, volume, and composition. I love working on big pieces, such as full sleeves, back, legs and body suit, and trying to give people something they are proud to wear on their skin forever.